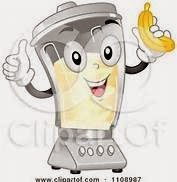 When dealing with chronic pain issues, it is sometimes difficult to prepare meals, but here is a healthy breakfast or snack solution if you have a blender. Use fresh and/or frozen fruits and vegetables on hand. Keep in mind that for some an anti-inflammatory choice is a smart selection, particularly if you are subject to irritable bladder, GERD or other digestion problems, immune deficiencies or conditions that create inflammation. Protein powder (or if you are gluten intolerant, use the protein substitute of your choice. Apples are considered to be a low acidic fruit in their raw form. They are abundant in pectin, a natural substance that soothes the stomach and absorbs acid, so they are actually creating an alkaline environment when digested. They are a great source of vitamin C, and have phosphorous, iron, antioxidants and flavanoids, and they are high in fiber. 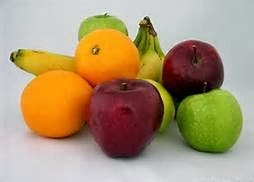 Because apples are high in fiber, they are also a good choice for those of us who take medications that cause constipation or experience alternating constipative/diarrhea irritable bowel syndrome. Tip! The peeling of an apple is important too, but it is also a great source of accumulated pesticides. Therefore, wash your apple (or other fruits and vegetables with edible peelings) by sprinkling on some baking soda, wet your hands and massage the apple, then rinse thoroughly. Did you know that you can freeze a whole banana and use it later? Yes, it is true, and you can cut off what you need and easily remove the peeling. Not only do they add flavor, a banana also adds fiber, protein, vitamin B6, vitamin C, potassium, manganese, magnesium, folate, riboflavin, niacin, vitamin A, and iron. There is a reason they are considered as a baby’s first food. Green leafy vegetables, such as spinach, broccoli, kale, red (my personal favorite) and green romaine lettuce, are packed with fiber and are a great source of vitamins and minerals. The more colorful the better, because bright colors mean they are loaded with antioxidants, which fight cellular oxidative stress apparent in both fibromyalgia and CFS/ME. Carrots are known as the eye health veggie. Raw carrots are loaded with fiber and a great source of thiamin, niacin, vitamin B6, Folate, manganese, vitamin A, vitamin C, vitamin K and potassium. Tip! Cleaning vegetables with a weak vinegar solution will help fight any lingering bacteria. If you have left over colorful bell peppers, zucchini, cucumbers, etc., throw those in too. 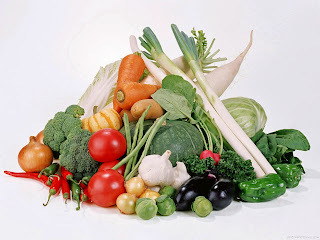 Any colorful fruit or vegetable that your body tolerates is a good choice. *If you are sticking to a low acid forming diet, check to see if ingredients are “acid forming” foods. They can be acidic, but that does not mean they create an acidic environment in your body. This topic is outside the source of this particular blog. I have found by using fresh and frozen fruits and vegetables it makes the smoothie like drinking a nutritious shake. Add water, milk, almond milk, soy milk, whichever you prefer, for the consistency you like and enjoy vitamins the old fashion way with a modern twist! I make fruit smoothies for my wife and I all the time for her and I to take to work. It helps us get good vitamins and minerals thru natural absorption and adds as an energy boost because of fibromyalgia for the two of us. I also add spices and herbs to them, such as ginger, cinnamon and tumeric and honey. Fruits have many good health aiding nutrients and not we don't have time to eat a lot of fruit during the day, but a smoothie can make up for this in one simple drink. You can use your imagination and still make healthy drinks daily. I use bananas as my staple ingredient and then work around them. GREAT advice John. Thank you so much for sharing.